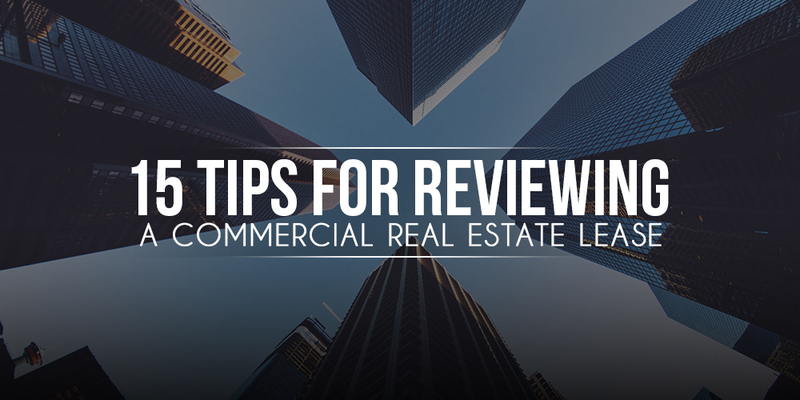 How to Review a Commercial Real Estate Lease - Alex Ramirez, Esq. Finding the right space for your business is critical. However, accepting a poorly-drafted lease agreement can be disastrous. Below are 15 tips to help you navigate the commercial real estate lease minefield. TIP #1. THE PARTIES. Make sure that the correct parties are reflected in the lease agreement. This is a very simple, yet frequently overlooked step. As a tenant, you want to be assured that the landlord has the right to lease the premises to you and otherwise perform under the lease. Accordingly, it is important to verify that the landlord is, in fact, the record owner of the property. Be wary of situations where less than all the owners will be signing the lease, or where an individual or entity that is not on title will be signing as landlord. If you will be signing the lease on behalf of an entity (e.g., partnership, limited liability company, corporation), ensure that the name of the entity, the type of entity, the state of its formation and your capacity (e.g., managing member, president) are correctly reflected. Description of the Premises. Make sure that the premises are accurately described in the lease and that the square footage and any key amenities are clearly referenced. It is advisable to measure the space (or have someone do so on your behalf) before signing the lease to avoid surprises, and, if appropriate, to adjust the rent. Also, examine whether the lease expressly provides for adequate parking for your intended use, and whether such parking will be exclusive to you or shared. With respect to industrial property, consider specifically addressing driveway access, truck parking, and the number and type of loading doors. Preparation of the Premises – Tenant’s Work and Landlord’s Work. If a party to the lease will be doing any work to the premises, the scope of work should be clearly described to reduce the chance of a misunderstanding. Oftentimes, the work of the parties is described in exhibits attached to the lease. Carefully review any such exhibits and watch out for provisions in the exhibits that conflict with provisions in the body of the lease. Also, consider stating how long a party will have to prepare preliminary plans and specifications, and how long the other party will have to approve them (and whether silence will be deemed approval or disapproval). To the extent feasible, describe the pertinent milestones involved and the deadline(s) for completion of construction, and how delays and cost overruns will be handled. TIP #3: USE OF THE PREMISES; USE RESTRICTIONS. As a tenant, strive to obtain a broad description that will give you the greatest degree of flexibility so that you can adapt to changing market conditions and franchisor requirements (if applicable). This will also be helpful for your exit strategy purposes. With a broad description, you will be able to choose from a larger pool of potential assignees and subtenants without being hamstrung by an overly narrow description of the permitted use. Additionally, check whether the lease prohibits you from conducting a similar business within a certain distance of the premises. Depending on your negotiating leverage, consider requesting an exclusive right to use the premises for your permitted use (i.e., a use restriction) to limit competition within the commercial center. Seek to make the use restriction as broad as possible and applicable to the shopping center, any outparcels that may be located just outside the shopping center and to adjacent property owned by the landlord that may serve for future expansion of the center. Pay close attention to the remedy available to you in the event a use restriction is violated. Strive to obtain specific remedies, such as rent reduction, lease termination, and/or the right to pursue litigation in the landlord’s name against a violating party. TIP #4: EXIT STRATEGIES. In light of the inherent uncertainty as to the success or failure of a new business location, consider negotiating an early termination provision, as well as flexible assignment and subletting provisions. Early termination. Although landlords are generally reluctant to do so, strive to obtain an early termination right to protect yourself against the risk that a location is unsuccessful. To clarify, “unsuccessful” here does not necessarily mean negative cash flow, but it may simply mean that your business fails to achieve a certain volume of sales or some other metric. If the landlord refuses to grant an early termination right, consider requesting a shorter initial term along with one or more options to extend the term. In this way, after the initial term expires, you have the flexibility to decide whether you wish to stay or leave at that time. Assignment and Subletting. Many leases prohibit the tenant from assigning or subleasing the space without the landlord’s prior written consent and provide that the landlord’s consent may not be unreasonably withheld or conditioned. Strive to negotiate the right to assign or sublet the lease without the landlord’s approval with respect to certain types of transfers, for example, transfers to affiliate entities or transfers made for estate planning purposes. Major tenants frequently insist on the ability to assign or sublet without the review or approval of the landlord, especially if the prospective assignee or subtenant meets certain net worth and/or business experience criteria. Watch out for provisions that give the landlord the right to recapture the premises or terminate the lease in the event you seek to assign or sublease the space. TIP # 5: EXPANSION SPACE. On the flipside to exit strategy considerations, consider the possible need to expand your premises in the future. You may wish to negotiate an option to expand the premises and, if feasible, specify the acceptable expansion premises in advance. A landlord may be willing to give you a right of first refusal or a right of first offer for additional expansion space. With a typical right of first refusal, when expansion space becomes available and the landlord has found a prospective tenant and has entered into a letter of intent or a tentative lease agreement with that prospective new tenant, the landlord must offer the expansion premises to you on the same (or substantially the same) terms and conditions as with that prospective new tenant. With a typical right of first offer, the landlord is generally required to present to you an offer to lease the subject premises before presenting such offer to others. Typically, you must decide, within some set period (e.g., a week), if you wish to accept the offer. If you pass (or if you are deemed to have passed based on your silence), the landlord is entitled to lease the expansion premises on the same terms and conditions to others. If the landlord is willing to provide either of these, try and work out as many of the terms and conditions as possible upfront. Consider describing, at a minimum, when the right can be exercised, how much time you will have to exercise the right or to respond to an offer, and the amount of rent for the new expansion space. You may also wish to address the proposed lease term associated with the expansion premises. Typically, the proposed term associated with the expansion space does not exactly match up with the remaining term of your existing lease. Consider negotiating some flexibility in this regard to avoid the harsh result of having to forgo your expansion right simply because the proposed lease term associated with the expansion space does not precisely correspond with the remaining amount of time on your existing lease. TIP # 6: RELOCATION OF PREMISES. Many shopping center landlords seek to include a provision giving them the right to relocate the premises within the center. If so, carefully review and negotiate how much prior written notice you will receive and the costs of relocation the that the landlord will cover. Carefully consider the criteria of acceptable replacement premises (e.g., minimum size, visibility, accessibility) and whether there will be any increase or decrease in rent. Consider other ways to limit the landlord’s right to relocate the premises, for example, consider adding a limit on the number of times your premises may be relocated or specifying when such a right may or may not be exercised by the landlord. TIP # 7: COMMON AREAS. If your premises are located within a shopping center or other type of multi-tenant commercial center where you will be sharing certain areas with other tenants, the provisions concerning such common areas may significantly affect your use and enjoyment of your leased premises, and your bottom line. Many landlords attempt to keep the definition of “common areas” very general, while tenants generally prefer to specifically identify key areas to ensure access to, and the right to use, the specifically identified areas. Make sure that the landlord’s management obligations and control rights over these common areas are also clearly described. Common Area Maintenance Costs. Closely examine (1) the types of common area maintenance costs you must pay, (2) when they must be paid, and (3) exactly how your share of them will be calculated. This section frequently undergoes extreme scrutiny and extensive negotiations, especially by major tenants. Your proportionate share may be based upon the ratio of the floor area of your leased premises to the floor area of all, or a high percentage, of the premises constructed. Alternatively, the landlord may seek to calculate your proportionate share based upon the ratio of the floor area of your premises to the leased portion of the shopping center. Get a feel for the amounts by obtaining estimates of the common area costs from the landlord before signing a lease and by requesting summaries of the amounts paid in prior years. Additionally, ensure that any required capital expenditures will be amortized over the useful life of the asset (or in some other mutually-agreeable manner), rather than entirely charged in the year incurred. Prudent tenants typically seek to negotiate exclusions from common area costs; however, the nature of the exclusions will vary greatly from lease to lease, and will depend on many factors, such as, the type of property, the demand for the premises, the relative bargaining power, the level of sophistication of the parties and the intended use of the premises. Some examples of excluded costs are: interest or payments on financing for the center; costs and expenses incurred in connection with negotiations or disputes with other tenants; and costs, fines, or penalties incurred by the landlord due to its violation of any applicable law. Caps on Common Area Costs. If possible, avoid excessive or unexpected increases to common area costs by negotiating limits (“caps”) on these costs. This is especially important if there is no established history of the costs. These limits can be structured in a variety of ways. For example, you may wish to specify a maximum dollar amount (which may be cumulative, annual or otherwise), or specify a maximum percentage increase in cost. Another aspect to consider is what common area costs will be subject to these caps. Many landlords seek to exclude costs from these cap provisions by distinguishing costs that are “controllable” versus “non-controllable,” which terms would need to be carefully defined in the lease. TIP # 8: TERM OF THE LEASE. Carefully review provisions describing when the term of the lease commences and when it expires, and when rent obligations commence. Clarify the period of time available to perform the work necessary to build out the premises, install fixtures and/or to complete alterations needed for your business. Condition to Effectiveness of Lease; Permit Contingency. As a practical matter, prudent tenants are mindful of the governmental permits and approvals that may be needed to build or alter the premises and operate their business. It is a good idea to include language expressly providing that the lease is contingent upon obtaining such permits and approvals. Of course, landlords typically seek to limit the length of any such contingency period and require that the tenant use diligent and continuous efforts to obtain such permits and approvals. If the provision requires that you use your “best efforts” insist on an alternative standard because such a standard could be construed as requiring you to do something beyond what is commercially reasonable. Options to Extend. Options to extend can be very valuable to tenants. If the landlord is willing to provide for an option (or options) to extend the term of the lease, examine whether there are conditions to your ability to exercise the option, such as a requirement that the tenant not be in default. Consider softening this requirement by adding “beyond any applicable cure period” to avoid losing an option because of a default that you are curing at the time of exercising your option. Similarly, avoid the risk of losing your option because of a minor default. Consider insisting on a “material default” to avoid the draconian result of losing an option due to an immaterial default. Also, seek to make the option to extend assignable with the lease rather than being personal to you. Minimum Rent. Monthly minimum rent, also referred to as monthly base rent, is the monthly amount payable by the tenant to the landlord for the use of the premises. Net Lease. Depending on the type of lease agreed upon, the tenant may also be obligated to pay its share of property taxes, property insurance premiums and/or common area maintenance costs and other maintenance costs. In such event, the lease may be deemed to be a type of “net” lease since the minimum rent is considered to be “net” of some or all of such additional amounts (i.e., the monthly rent does not include taxes, insurance, and/or maintenance, and an additional amount must be paid by the tenant to cover these). A “single net” lease typically refers to a lease that requires the tenant to pay the property taxes in addition to the minimum rent. A “double net” lease requires the tenant to pay the property taxes and the insurance premiums in addition to the minimum rent. A so-called “triple net” or “NNN” typically requires the tenant to pay its share of taxes, insurance, and maintenance costs in addition to the minimum rent. An “absolute net” lease requires the tenant to pay, in addition to the minimum rent, the taxes, insurance, and maintenance costs (including any structural and roof repairs and/or replacements), as well as any other costs or expenses associated with the property. Absolute net leases typically involve large tenants having excellent credit in connection with long-term leases (e.g., 20 years). Gross Lease. A lease is generally considered a “gross” lease or a “full-service” lease, if the monthly rent (a/k/a base rent) paid by the tenant serves to compensate the landlord for use of the premises and for the property taxes, insurance, and maintenance costs relating to the premises. In a gross lease, the landlord remains responsible for paying property taxes, insurance premiums and maintenance costs. As a result, gross leases are viewed as being riskier to the landlord because the landlord must absorb any unexpected increases in such costs. Consequently, tenants typically prefer a gross lease. Variations of the gross lease also exist. For example, the parties may consider the lease to be a “modified gross” lease if, in addition to the monthly rent, the tenant is required to pay for its share of certain specified operating costs associated with the premises. Percentage Rent. Percentage rent clauses are contained in many retail leases. In general, these clauses require the tenant to pay the landlord a portion of the gross revenues generated from the tenant’s business at the premises as “percentage rent.” If percentage rent has been agreed upon, it is critical to understand how the rent will be computed. If percentage rent is required in your lease, carefully review and negotiate (1) the definition of gross sales, and (2) the allowable deductions from gross sales for items that are included in gross sales but do not lead to profit to you. TIP # 10: ABATEMENT OF RENT. Leases may provide for an abatement of rent in the event that your access, use or enjoyment of the premises (or common areas) is adversely affected. A few subtle changes to this type of provision can make a world of difference. Closely analyze the computation of partial abatements provided under the lease. The amount of the partial abatement may be based on the number of square feet of floor area within the premises that are destroyed, or it may be based on the extent of impairment or interference with your business. Although on the surface the square footage approach appears sensible, keep in mind that the specific portion of the premises that remains free from damage may not be suitable, by itself, for the continued operation of your business–for example, if you own a restaurant and the kitchen is destroyed, a computation based solely on square footage will not be very helpful to you. In addition, watch out for broad waivers requested by landlords with regards to the interference and disruption resulting from the construction, reconstruction or repair of the center. These waivers should be refined as much as possible to avoid draconian effects. TIP # 11: INSURANCE AND INDEMNITY. It is advisable to send the lease to your insurance agent or consultant for review as early as possible in the process to ensure that the insurance coverage amounts and other insurance requirements are acceptable. The indemnity clause should exclude liability resulting from the landlord’s negligence or willful misconduct, and consider requesting indemnification by the landlord for bodily injury and property damage caused by the landlord or any of its agents. TIP # 12: SIGNS AND ADVERTISING. Signage rights may be crucial for your business. Carefully review your rights with respect to erecting and maintaining signs on the premises and, if applicable, in other parts of the center. If you are leasing retail space, consider including precise language concerning the following types of signage: (1) entrance signs; (2) signs in the interior of the store; (3) sign panels on pylon and monument signs; and (4) temporary signs and banners. TIP # 13: OPTION TO PURCHASE THE PREMISES. If you have negotiated an option to purchase the premises, at a minimum, consider specifying the following terms: (1) Purchase price of the premises (or the mechanism for determining how the purchase price be established), (2) amount of deposit and payment terms, (3) due diligence period, (4) closing date, and (5) allocation of title insurance premiums, transfer taxes, recording fees, and other closing costs. Seek to record a memorandum of lease referencing the option to purchase in the official records of the county where the property is located. TIP # 14: REPAIRS AND MAINTENANCE. The allocation of these obligations will depend greatly on the type of property, the term of the lease, and the relative bargaining power of the parties, among other things. If possible, require that maintenance of the structural elements of the premises be at the landlord’s cost and expense. Seek to limit your responsibility to replace the roof, the HVAC equipment and/or any other major items toward the end of the lease term to avoid paying for new equipment and items that will primarily benefit the next tenant. TIP # 15: DEFAULT. Strive to make sure that the landlord is required to give you written notice of an alleged default and an adequate opportunity to cure it. Watch out for obscure default provisions that are inserted into other areas of the lease. Also, review what constitutes a default by the landlord and the applicable cure periods afforded to the landlord. Be wary of excessively long cure periods afforded to the landlord and closely review your remedies in the event of a default by the landlord. Finally, insist on deleting one-sided provisions, such as a clause providing that no default is deemed to exist on the landlord’s part if the parties are involved in a “good faith” dispute. Avoid being lulled into a sense of complacency simply because a proposed lease agreement is based upon a form published by a local real estate association or another so-called “standard” form. When reviewing a lease, watch out for undefined key terms or vague provisions relating to important concepts. If a certain concept is particularly troublesome to you, seek clarification and strive to insert specific standards wherever possible, such as fixed dollar amounts, set time periods, percentages, and/or written notice requirements. The review and negotiation of a written agreement is a craft. Every item in a contract is negotiable, however, it is not necessarily feasible to engage in protracted negotiations over every line of a contract. A seasoned transactional real estate attorney can help clients (1) gain a better understanding of the lease terms, and (2) make an informed decision with respect to negotiation strategy. 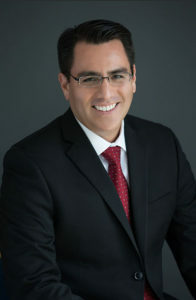 Alex Ramirez founded AR | LEGAL TEAM to help investors, family offices, and business owners with the acquisition, operation, and disposition of commercial real estate, and other business matters. Mr. Ramirez was born and raised in the Midwest. He graduated from the University of Illinois at Urbana-Champaign in 1996 and from Northwestern University School of Law in 1999. He has practiced real estate law with both international and boutique law firms and has provided counsel to local, regional, national and international clients with respect to the acquisition, development, financing, leasing, operation and sale of various property types, including single-tenant retail investments, multi-family portfolios, shopping centers, office space, as well as distribution and manufacturing facilities. This article provides general information only and it is not a substitute for legal advice. The views expressed herein may vary depending on the context. We encourage you to consult with an experienced attorney before taking any action that may affect your legal rights.